Searching for the ideal compound bow for a beginner archer is not as tough as everybody thinks. 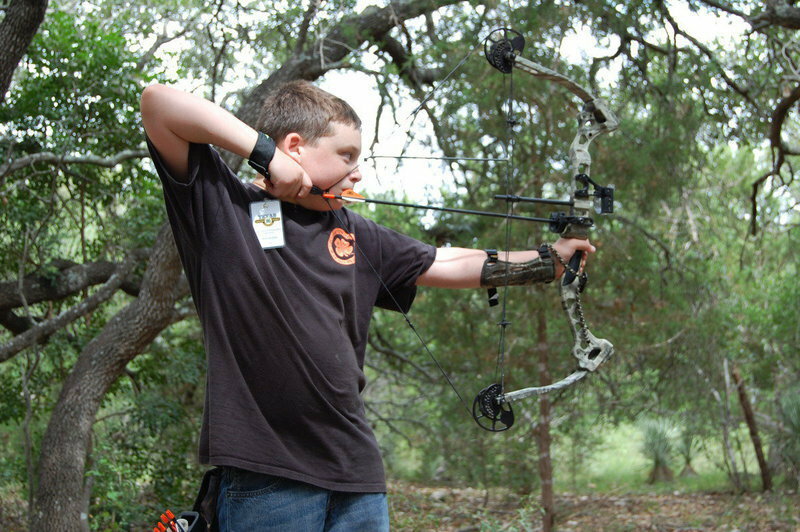 Though it is fairly easy, some would still wonder what is a good compound bow for a beginner. There are some few essential things that you need to know first before purchase, over-all it isn’t overly complicated at all. The few things that you need to check on a compound bow are the draw weight, draw length, brace height, IBO speed, Let-off, AtA Length, and bow weight. To sum it up and explain them further, here are the important criteria that you need to familiarize yourself to before you can find the ideal compound bow for a beginner like you. Every archer has an expectation of getting the perfect compound bow that will last for years to come. However, in reality you have to change bows a few years and so. Not because it breaks down, but because your techniques and skills are leveling up, and it requires that your bow has to upgrade as well. That means that your compound bow should be strong enough to grow with you as you grow in experience. Nevertheless, it should not be too costly so that you will be able to begin your practice shooting and have enough funds for an upgraded compound bow. Speaking of cost, a quality compound bow has an average price of $500 and more. However, there are compound bows that costs somewhere from $200 up to $500 only. It may sound too good, but there are exceptional and strong compound bows within this price range. There are different brands of compound bows for beginners in the market that are reputable and trustworthy. Keep on searching and it is always best to shop in a physical store than a virtual one. As a reminder, despite the name compound bows for “beginners” and there are inexpensive ones available in the market for immediate purchase, take note that these bows are undeniably deadly just like their expensive counterparts. It bears deadly risk not only to the people around but also to the user. To explain simply the compound bow, imagine it as a big slingshot with added mechanisms to make the shot faster and powerful. The mechanism in the compound bow is called cams. These cams become aggressive when the bow is made to shoot arrows really fast. Therefore, fast shooting plus aggressive cams equals difficult bow drawing. Sad to say there is no other way to prevent this or go around it. Though there are some who attempted to redesign it to control this, they ended up with having a crossbow instead of a regular bow. Being a beginner archer, you should make sure that when you draw the string, it won’t be too forceful or aggressive. If you do not consider this, you will find it hard to learn the best form while shooting and proper aiming. It is accordingly suggested that for novice archers, you should opt for compound bows that are below 330 FPS. Anywhere above this speed can already affect the shooting. A 320 FPS can already be too fast to handle for a beginner. Brace height refers to the length between the draw strings from the deepest curved part of the bow grip. In choosing a compound bow, this doesn’t matter too much at all. It only affects those who uses the long bow because back in the days before the compound bow is popular, a low brace height makes shooting harder. They had difficulty in holding the bow, drawing the string and making a proper aim, and there was a very high chance that the string will injure your the forearm. That is why a 7 inch brace height or anywhere longer than that is recommended for beginners. Today, the brace height is no longer relevant in choosing a compound bow. The manufacturer that produces compound bows today already designed it with the optimal brace height for shooting efficiency. That means you don’t have to worry about adjusting it at all. Just go with the setting and start shooting. However, if you are still concerned with the brace height range, select for a BH that is between 6 inches to 8 inches. For compound bows, it already has a Let-off of 75%-80%. This is already ideal for any user of this type of bow whether they are novices or not. Though at times you will hear other archers that prefers a lower Let-Off, this shouldn’t bother you at all as a beginner. However, there are new compound bow designs that allows users to adjust the let-off. Users can now select their preferred setting if they want it to be higher or lower. But despite this easy access and adjustment, beginners should let the let-off be on its highest. This will allow the shooter to hold the bow longer and aim better at the target. You can choose the draw weight that you need. For choosing a compound bow, you will be required to make a decision on the draw weight before buying one. Most selections will be 50, 60, or 70 pounds. It is difficult to tell you what draw weight you need for a compound bow. This is because it is reliant on on the body strength and built of the user. Choosing a bow that is too heavy for a beginner can get you too tired too fast after a few practice shots. Take into consideration your comfort as the user. It has to be comfortable and suitable to your use. The heavier the draw weight the less you will be able to have good aims. Consult first a draw weight chart that determines that draw weight according to your height, strength, and body shape. Compound bows are made for hunting and beginners like you can definitely use it to hunt. Most archers prefers a compound bow that is fast and has a shorter brace height. Contrary to the belief that beginners cannot handle a compound bow for hunting big games, beginners can actually handle bows that can take down a bear. This is due to the fact that using a compound bow for hunting is not dependant if the bow is made for novice or advance archers. The kinetic energy that plays a key role in making a good shot is the main reason why beginners can utilize this hunting bow. The higher the Kinetic Energy, the better the arrow will pierce the target. For more details, read further about the relationship of Kinetic Energy to compound bow hunting. AtA means axle to axle. There is already a generalized rule about AtA. First rule is for hunting purposes. Archers has to choose an AtA that is less than 33 inches with a lesser bow weight of 4.3 pounds. It has to be lightweight and compact because the heavier the bow, the harder it is to carry around on the hunting field while following a target. Second rule is for target practice shooting. It is better to choose a bow that is longer to be able to stabilize the bow and lower the chances of vibration. This will result to a better aim. As for a beginner, you just have to make sure that the bow will not go beyond 35” in length. Do not choose anything that will be too heavy to handle as this can cause early exhaustion and less time to practice shoot. Now that you have read this and gained basic knowledge about what is a good compound bow for a beginner, here are some extra things to remember. First, inspect the bow thoroughly. Hold it if you have to and check if the weight is good enough for you. Second, choose only the quality bow. Invest properly on the compound bow that you want. Third is to learn, discover and develop your own technique. Finally, if you require more help with your compound bow searching, simple provide us about your details such as body weight, height, price range for a bow, and purpose for purchasing if it will be for a hunting hobby or for target shooting. We will get back with you with tips and purchasing help.